Samuel Reader moved to Kansas Territory in 1855 and kept an illustrated diary that documented his experiences during Bleeding Kansas, the Civil War, and throughout his life. Reader disapproved of slavery, which motivated him to participate in the two-day skirmish known as the Battle of Hickory Point between proslavery and antislavery forces near Ozawkie. The avocational artist later depicted the scene of the battle. 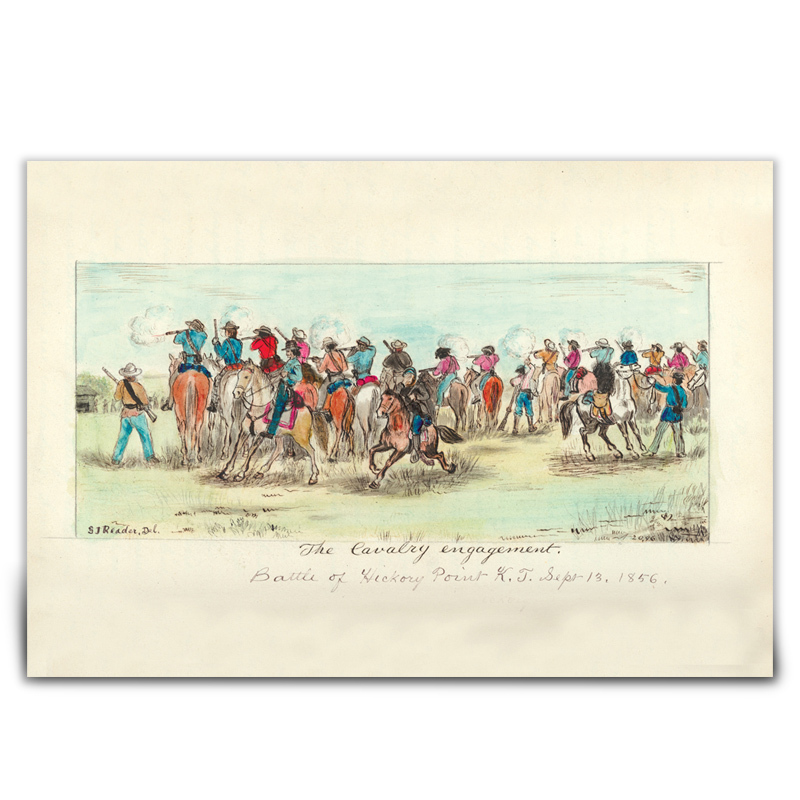 From the collections of the Kansas Historical Society, the print was produced for the Kansas Historical Foundation.